Create An Ensuite Bathroom. What Does It Cost To Create An Ensuite? Creating an Ensuite bathroom can really add a lot of value to your home. Not only this, but it will instantly add extra washing and bathing facilities and can really help a full house. We are often asked to provide a free plan and design to create an ensuite bathroom for many of our customers. One of the biggest stumbling blocks for this type of work is that the customer really doesn’t know how much it costs to create an ensuite bathroom, nor do they know what kind of pitfalls they may find when they look to create an ensuite. What work is involved in order to create an ensuite Bathroom? In order to create an ensuite, it is important that you plan everything correctly from the very beginning. This not only guarantees that there are no hidden surprises, but also to ensure that the works go as smoothly as possible and with minimal delay. When you decide to create an ensuite, there are certain things that are paramount and MUST be thought about before you decide to search for a company to perform the works. Having these fundamental things clear in your head, makes it easier to make decisions further down the line and also, can save you many hours of headaches and £1000’s in the long run. Where are you going to get your hot and cold water from? This is often one of the biggest stumbling blocks that not many people think about. Depending on what type of hot water system you have, it does depend on how easy it is to get hot and cold water when you decide to create an ensuite. Get it wrong and you could end up paying for it. Most of the time a bathroom local to the room where the ensuite will be is the best source of this. For example a bathroom below. How are you going to get rid of the water? Many people don’t realise that all the lovely hot and cold water that goes into the nice new ensuite bathroom has to be removed somehow. Most of the time, this is quite simple because generally the location of the ensuite means that it can be taken away either outside into the current soil stack etc, or its relatively easy to break into the pipes if they are internal, or even use the existing methods currently used within the existing bathroom. Some times though, we have been asked to provide a quotation to create an ensuite in such a location that it is nearly impossible to remove the waste water without the means of a Saniflo or other suitable macerator. These can sometimes be intrusive in design, and more often the main concern is the noise they create. What type of shower are you going to have? Its very easy to assume you will have either an electric or thermostatic mixer shower, however there are many things to consider in making your choice. If you opt for thermostatic, again depending on your type of hot water system, how will this affect the rest of the showers in the property? Will they work simultaneously? If you have an electric shower, will you need to upgrade your consumer unit to meet the current requirements of BS:7671? The other option would be to look into a POWER SHOWER. Is your electrical system up to the requirements of BS:7671? All work completed in domestic properties has to comply with the requirements of BS:7671 and MUST be completed by a competent person in order to do so. It can be costly to bring your current electrical work up to meet the latest regulations. Are you constricting the space too much in order to create an ensuite? Generally, it is assumed that you are going to create an ensuite within a current bedroom. In practise this may not be the best use of space and you may wish to consider another option. Maybe you should create an ensuite out of a walk in wardrobe, or a loft? Careful planning is essential to ensure you create an ensuite in the most practical and efficient location. How much space do i need to create an ensuite Bathroom? In practise, whilst you may feel that you can create an ensuite in a 1m x 1m space in the corner of a room (ok, were slightly exaggerating the space there), this is almost certainly not enough and the amount of space required to create even the most subtle of ensuites is not something to be taken lightly. Generally when you decide to create an ensuite there are 4 items that need to be in the room as a bare minimum. Again the space required can be minimal, but if your going to create an ensuite bathroom, you want to make sure you have enough room for the shower. Our suggestion would be a minimum size of 80cm x 80cm if using a square or quadrant cubicle, and 100cm x 70cm is you opt for rectangular. As a guide, we have suggested the minimum spaces required for an average product from each category. Some products you can get smaller, and some larger. In practise, and often having to work around other obstacles like soil pipes, boxings and windows etc, then generally we would suggest you create an ensuite the dimensions of 1700mm x 1700mm. Whilst it would be ideal to create an ensuite with bigger dimensions, it is often a compromise in some respects between having a more useable space, and maintaining usability of the room in which you have chosen to create an ensuite. What does it cost to create an ensuite bathroom? As a specialist fitted bathroom company, we undertake this type of work on a weekly basis. We know from previous experience that in order to create an ensuite bathroom, the costs can escalate very quickly and its not just simply a case of ‘putting a few walls up’. In reality, once you’ve factored in the electrical work, joinery work, plastering and physical building work to create an ensuite, add in the actual suite itself, then the internal plastering, tiling etc, we know that the cost can easily start at around £7-10,000. That is a mere approximate, and is based on numerous assumptions and further investigation would ascertain whether the works were possible or even viable. This cost of creating an ensuite may sound high, but in order to create an ensuite, you need to ensure all work is completed to current building regulations and that the company that performs the work is experienced and knowledgeable in all aspects of this type of work. 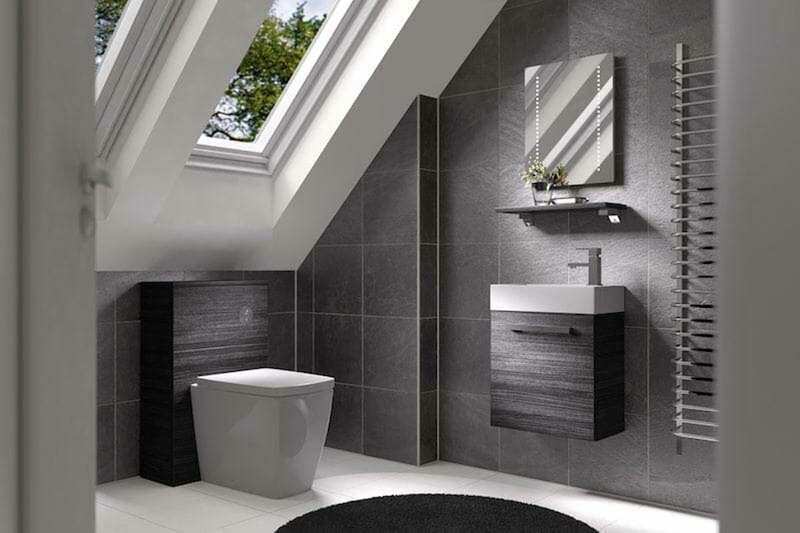 At Aquarius Home Improvements, we are specialists in ensuite bathroom installations and have many satisfied customers who have previously asked us to create an ensuite for them. If you would like a free, no obligation quote to create an ensuite then please feel free to contact us on 0115 9441748 or email us on sales@aquariushi.co.uk.